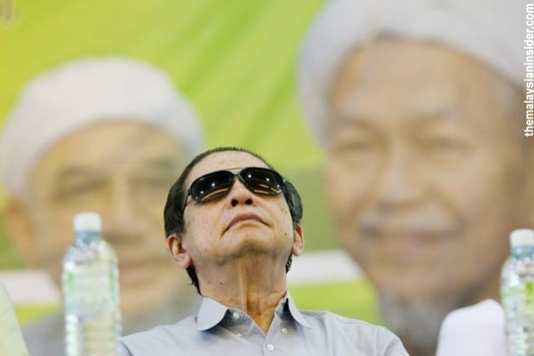 Recently, DAP's Advisor, Lim Kit Siang launched his political propaganda campaign by claiming that PR is able to win seven states including PR-led current states, Selangor, Kedah, Penang and Kelantan. The three other states in the list include Perak, Negeri Sembilan and Perlis. Sadly, Kit Siang's cheap propaganda campaign did not receive as much coverage and it failed to increase the moral of PR supporters. This did not just sadden Kit Siang, this is also causing worries among PR supporters because if BN do get to maintain its performance as it is now, and as rakyat are getting comfortable with BN, this means PR might just fall in Selangor, Kedah and Kelantan. What worries Kit Siang more, if DAP's stronghold in Penang starts to crack, Penang might snatched by BN. In his interview with China Press on April 27, 2013, he stressed on his propaganda once more, which somehow show how desperate DAP and PR is to raise attention of the public to support their agenda of racing towards Putrajaya. Kit Siang actually understand that GE13 is far different than the political tsunami which happened in GE12 in 2008, added with rakyat's growing support for BN, like it or not, he has no other choice but to replay the propaganda. Besides that, Kit Siang is really hoping that this propaganda campaign could be attract more PR supporters to attend all of PR political programs. If this propaganda do work, it would be a bonus for DAP and PR, if it fails, it could still boost the moral among some of its supporters. That is the objective, to get people exited to join PR's campaign, because they want to know what happens next, that is all. Perhaps Kit Siang and DAP's propaganda campaign could really help PR supporters to feel confident over the coalition, but reality shows us that such horrible lying propaganda will soon be thrown to the gutter.